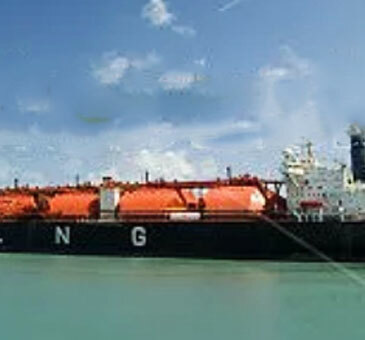 Cryeng Group offer a range of offshore LNG marine vessel designs including: fuel gas storage tanks; single fixed refrigerant (SMR) tanks; and IMO Type C tanks manufactured in accordance with IMO IGC, IMO IGF, DNV, Lloyds, ABS and BV Code. Cryeng also offer full fuel gas systems (FGS) in a range of sizes to suit our customers requirements. Cryeng offers cryogenic vacuum perlited or vacuum multi-layered insulated tank, designed and manufactured to IGC, IGF, Lloyds, BV, ABS, DNV Class, Type C and either ASME VIII Div 1 or AS1210-2010 pressure vessel code. It is designed using advanced design technologies to resist every conceivable operating condition, including, but not limited to, marine conditions, transportation loading, and normal & abnormal operating pressure. Unless otherwise specified by customer, the tank is sealed for life and does not require internal inspection or maintenance during its entire design life exceeding 25 years. ​Inner tank is designed and fabricated from SA240-304/304L stainless steel and tested/examined to meet and exceed code requirements to ensure reliable operations, e.g. 100% PT, RT (and/or UT), cold-shock testing using liquid nitrogen, helium leak testing, positive material identification (PMI). ​Outer tank (or vacuum jacket) is fabricated from carbon steel to provide vacuum insulation for the inner tank. The tank assembly is helium leak tested at sensitivity 10-9atm.cc/s to ensure vacuum retention for 25+ years without having to replenish vacuum during its design life. An access port (manway) can be added with different pipe routing and also facilitates installation and servicing submersible pumps if used. Our designs focus on minimising energy consumption, improving efficiency and offering a reduction in operating costs.